2018 AMHA & AMHR DNA/PQ tests pending. *His dam tested N/D2 on the ACAN test, so he could be a potential dwarf carrier. We'd prefer to sell him on a gelding contract. 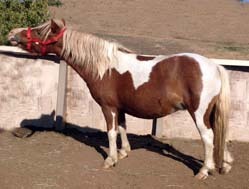 We sold Taco's dam to another breeder with the contingency we received the first foal from Boo (dam) being bred to Ozzie. We ended up buying Ozzie before Taco arrived here as we've always admired him. Taco is a cute little guy with loud color like his parents. 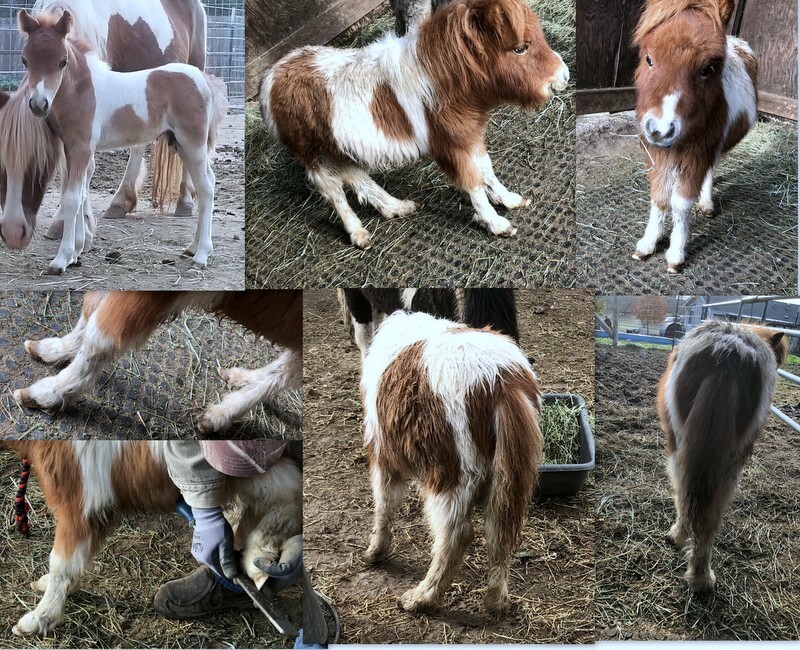 Sadly, he came to us in December 2018 severely underweight and badly in need of trimming (walking on his fetlock/heel), which was a surprise based on his initial foal photos we received. 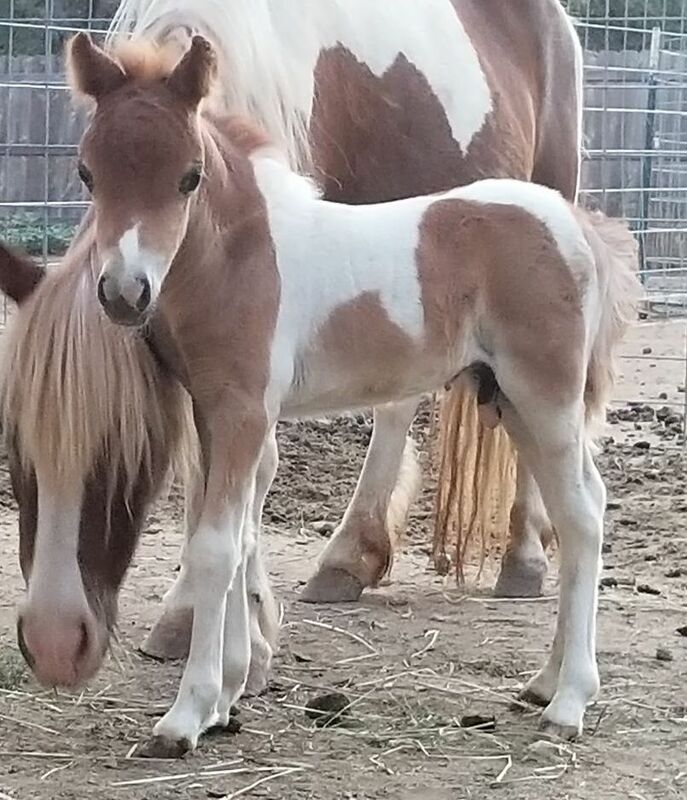 He is gaining ground daily and actually runs and plays like a normal foal now (April 2019) with his buddy Cobie. They have lots of space in a new 1-1.5 acre pen with plenty to eat and plenty of room for young horses to grow and gain muscle tone - it's hilly! Taco is finally growing too. And is catching up to Cobie, although we're fairly certain he'll be in the 31-32" range at maturity. It's just lovely to see him running and full of energy, his hooves in much better shape and his legs straight! This is from 1/26/2019. He's bright eyed and playing. We're thrilled to see how much better he's doing. 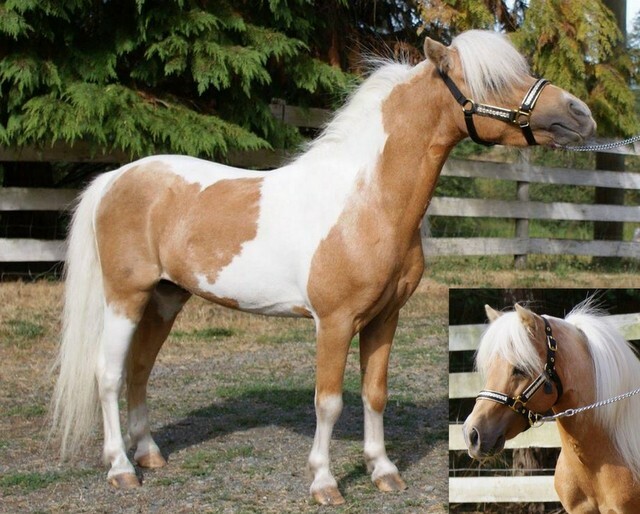 The second photo is Taco with our eldest Mini, Maria (Tanglewood Farms Maria), doing great at 33 years young. You can see how he's filled out the past two month. We're very pleased with his progress. Our fun task now is teaching him to lead, he was not halter trained prior to coming here, but is picking it up!